Marc Garneau is a Canadian politician, former astronaut, engineer and a retired military officer. Since 2008, he has served as a member of the Canadian Parliament for the riding of Westmount—Ville-Marie and also was a potential candidate in the running for leadership elections for the Liberal Party of Canada in 2012. He however retracted his bid in 2013. He was also the first Canadian to set foot in space, having taken part in a total of three flights aboard NASA space shuttles. From 2001 to 2006, he was subsequently made the president of the Canadian Space Agency and in 2003 became the ninth Chancellor of Carleton University in Ottawa. Marc Garneau was born on February 23, 1949, Quebec City, Quebec as “Joseph Jean-Pierre Marc Garneau” and received his primary and secondary education from schools in Saint-Jean-sur-Richelieu and Quebec City. In 1970, he earned a Bachelor of Science degree in Engineering Physics from the Royal Military College of Canada and then proceeded to earn a Doctorate in Electrical Engineering from Imperial College of Science and Technology, United Kingdom in 1973. He also attended the Canadian Forces College in Toronto from 1982 to 1983. Garneau formally began his career as a Navy combat systems engineer for the Royal Canadian Navy, abroad the HMCS Alogonquin in 1974. In 1982, while he was promoted to Commander while at Staff College and was then transferred to Ottawa in 1983. He was accordingly promoted to Naval Captain in 1986, followed by retirement from the Navy in 1989. Garneau also holds the distinction of being amongst the first group of Canadian astronauts and as well as being the first ever Canadian to go into outer space. In 1984, he was enlisted to the Canadian Astronaut Program (CAP), as one of six chosen candidates from over 4,000 applicants. As a result, he was a part of the crew as a payload specialist on the shuttle “Challenger”, STS-41-G, which flew from October 5 to October 13, 1984. He was then promoted to Captain in 1986, which subsequently fueled his decision to leave the Royal Canadian Navy in 1989, to instead become the deputy director of the CAP. From 1992-93, he undertook further training to become a mission specialist and worked as CAPCOM for numerous shuttle flights, being on board two further flights – STS-77 and STS-97. Garneau has logged over a total of 677 hours in space. For his achievements, he was appointed executive vice-president of the Canadian Space Agency in early 2001, and went on to became its president on November 2001. Marc Garneau is also a prolific personality within Canadian politics. He chose to resign from his post as President of the Canadian Space Agency, so that he could run for the Liberal Party of Canada, in the 2006 election in the riding of Vaudreuil-Soulanges. Although considered a star candidate, he failed to win the seat and lost by over 9000 votes to Meili Faille. Following the resignation of Liberal MP Jean Lapierre in 2007, Garneau was first to express interest in being nominated as the party’s candidate in Lapierre’s former riding of Outremont, but eventually lost out to Jocelyn Coulon as the party’s candidate for the by-election. Despite having taken a leave from politics in 2007, announced that he would be the Liberal Party candidate in Westmount—Ville-Marie and went on to win the election in excess of over 9,000 votes. He was also reelected to this office in 2011. 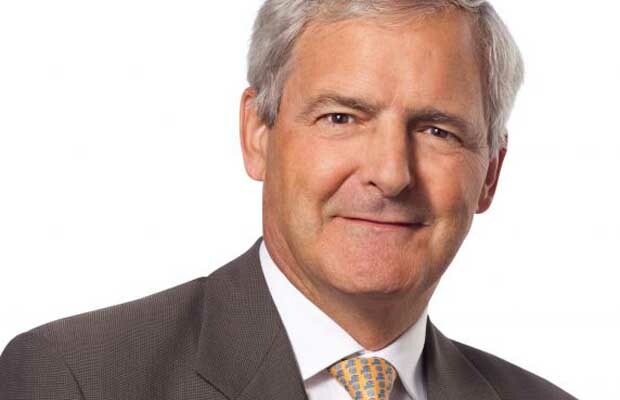 In 2012, Garneau announced his bid for the leadership of the Liberal Party, having left his position as the Liberal House Leader but still remaining the critic for Natural Resources for the party. However, in 2013 he choose to withdraw his bid and showed support for front-runner Justin Trudeau. On September 18, 2013 he was named co-chair of the Liberal International Affairs Council of Advisors, providing advice on critical issues to Liberal Party of Canada leader, Justin Trudeau, as well as a Natural Resources critic on an interim basis. Garneau was recognized as an Officer of the Order of Canada in 1984, for his role and services as the first Canadian astronaut and was subsequently promoted to Companion in the order in 2003 for his contributions to the national space program. He has also been awarded the Canadian Forces Decoration in recognition of 12 years of honorable service with the Canadian Armed Forces. Furthermore, he also has high schools named after him, Marc Garneau Collegiate Institute and É.S.P. Marc-Garneau, in Toronto and Trenton, Ontario respectively. He is also the Honorary Captain of the Royal Canadian Sea Cadets. In addition, the no.599 Royal Canadian Air Cadets squadron is named in his honor.